This is a Knabe Square Grand that I found for a client. 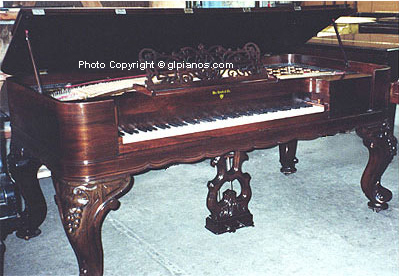 These pianos while having great cabinetry and ornate design are not very good as instruments and should be looked on as more of an antique. 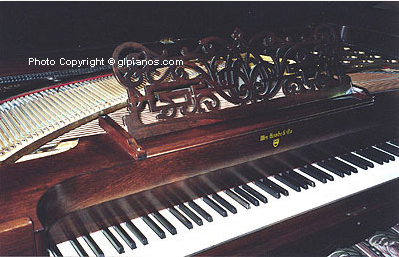 Square Grand that they used in the film. John Schneider ‘The Dukes of Hazzard’ & Wes Borland ‘Limp Bizkit’. hard to tell which string is connected to which tuning pin. to be improvised since you can't get parts for them. pins at the back of the piano. soundboard is suspended between the strings and keyboard. 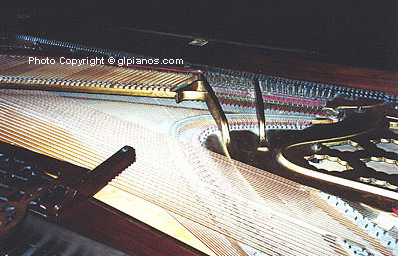 Very old Square Grands also have oblong tuning pins. Original ivory keys in excellent condition.